You the KasCrafters are our global volunteers who have taken up our crochet and knitting project with such generosity, and are the most vital cog in the KasWheel. 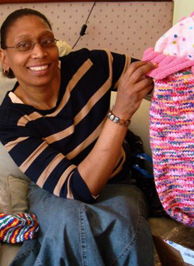 To date you have crafted and sent with love and beautiful messages for Knit-a-square over 1.5 million squares, beanies, hand-warmers and toys. Read KasSnippets for stories of you, and our wonderful KasTeam who do superb work on the ground to make sure your work warms and comforts orphaned or vulnerable children. You, our global volunteers, are individuals, school and church communities, university groups and aged care organizations, and we remain indebted to you for your continuing work to help the children so greatly in need of your support and love. When Knit-a-square started, in October 2008, we thought it would be ‘just a wee knitting project!’ and might result in just a few hundred squares. Today, we are supported by a wide variety of people in several different countries. 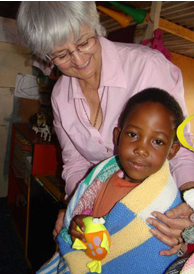 This would allow Ronda Lowrie (co-founder of Knit-a-square, pictured right) to make a few blankets herself and then distribute them to the children in the streets of South Africa as she passed, instead of the cheap blankets she had been buying. We have Lion Brand in the United States, who published an article about us in February 2009, to thank for the fact that, wonderfully, our story of global volunteers is much richer. Thousands of squares arrived in that year. It was clear, very soon, that Ronda would not be able to cope with the volume alone. Ronda had been working with women from Soweto through her own church parish to uplift parishes in Soweto, and so over time several women came forward to help her open the parcels. Two women, Lindiwe NgWenya and Wandile Mkhwanazi, have become permanent volunteers. 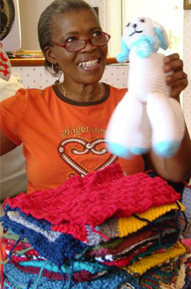 They, together with a band of caring, committed parish friends of Ronda’s, and a band of dedicated volunteers, many of whom are on the Board of Knit-a-square South Africa, form the hardworking core of our team in South Africa. They open the parcels, sort the squares from the hats and jumpers, collate the garments into sizes, create Square Packs (each pack contains 35 squares) for sewing groups. They teach and oversee the stitching of the blankets, very often with the help of groups of grandmothers (the gogos), who are themselves looking after their orphaned or vulnerable children. The volunteers also record the opening of all the parcels. Wandile scours the streets of the informal settlements near her home in Soweto. She searches out children who are orphaned or alone, and crèches and communities where there is a high level of vulnerable or orphaned children for distributions of blankets. Lindiwe does the same through her parish. This way we can be sure that the blankets are being wrapped around the children who most need them. 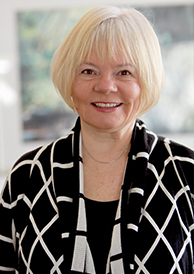 In Australia, co-founder Sandy McDonald (Ronda’s niece), her husband Roger and daughters, Kalai and Cressida, were instrumental in implementing the concept and managing the growth of Knit-a-square. As founders of CreateCare Global, (Knit-a-Square’s parent organizations,) they designed and built the website, forum and online newsletter, and worked tirelessly to build and nurture a world-wide community of committed and vibrant crafters who create and send the squares. 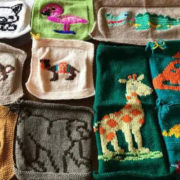 Sandy and a moderator of the Knit-a-square forum, Andrea Palmatier in Canada, who is responsible for building and maintaining the KasShop, are co-builders of the new site, launched nearly ten years after the first site, in August 2018. We are also helped greatly by collaboration with the South African division of G4S, a large British security company. 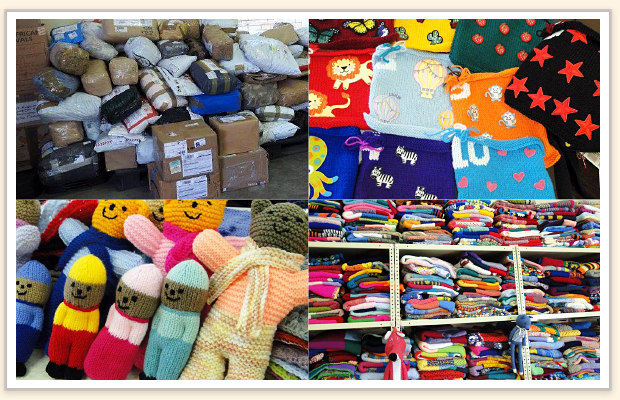 G4S looks after many prisons in South Africa and we are currently sending squares to the inmates to sew into blankets. 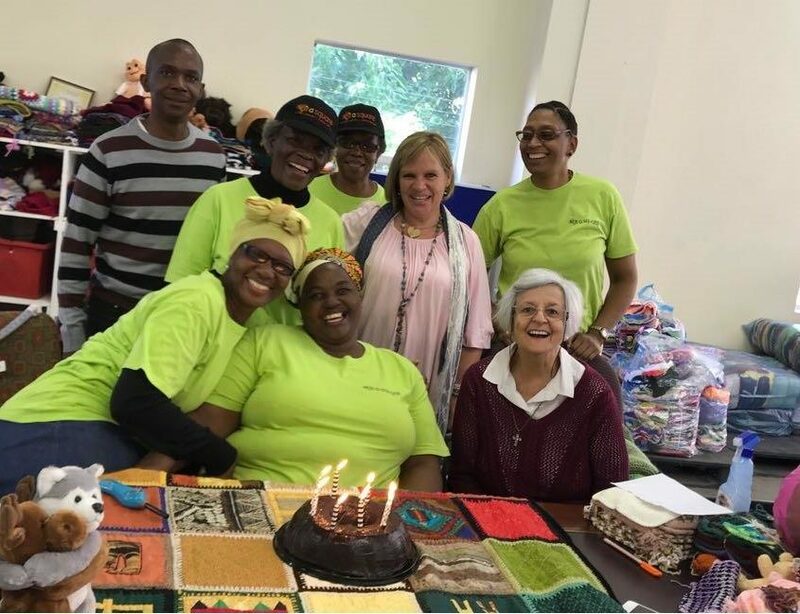 Wendy Hardy, former Public Relations Manager of G4S, has become a dedicated Knit-a-square supporter herself, opening parcels with her family over the weekends. We are blessed by the many dedicated volunteers who arrive every Tuesday at the KasBarn to open, sort, bundle and record the arriving squares, hats and cuddly toys. Every day they juggle tasks and do so with the remarkable spirit of people determined to help orphaned or vulnerable children and to make sure that your compassionate craft warms and comforts these children. 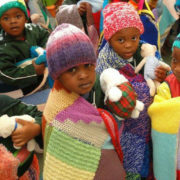 You can read about their selfless voluntary work in A Day in the Life of a Knit-a-square South Africa Volunteer. In time, we imagine our volunteer base will grow substantially to cope with the increasing volume of the charity work we receive. What a wonderful problem to have! We are fortunate to have among us many women, who unsolicited have over the years come up with ideas to grow our community, fund raise, widen our reach, raise awareness and further help the children. Many of these women have been formally enrolled as forum moderators on the Square Circle forum and in Ravelry. Many more keep on contributing, sharing patterns, challenge ideas and concepts. Recently we started to pay small stipends to Lindiwe and Wandile for their ceaseless and committed work. You can join our army of over 20,000 people worldwide who contribute to make Knit-a-square what it is. Crochet or knit a square. Click here to find out how to contribute your compassionate craft. Become part of our KasFamily. Join the warmest crafters on earth in our Square Circle forum. If you can’t knit or crochet, help us by becoming a KasSubscriber. Become a KasVolunteer on the ground in South Africa.